THIS EXPEDITION WAS FEATURED IN THE JANUARY/FEBRUARY 2015 U.K. 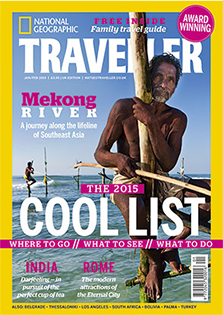 EDITION OF NATIONAL GEOGRAPHIC TRAVELLER. Permafrost—ground that remains below 0 degrees Celsius (32 degrees Fahrenheit) for more than a year—holds crucial clues about global warming. What do climate-related changes mean for the Arctic? Days 3-10: Collecting data outdoors, lab work, free time to catch the sunset, etc. Volunteer to uncover evidence of global warming.